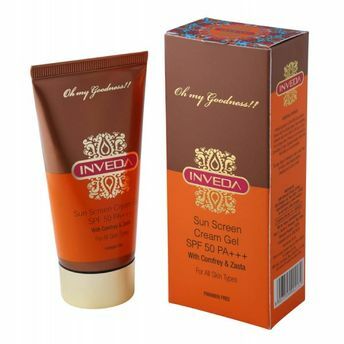 Enriched with Comfrey & Zasta, this Cream Gel protects skin from harmful UVA/ UVB rays of the Sun. The blend of natural ingredients acts as a barrier & prevents from tanning, pigmentation, as well as from premature ageing of skin. SPF 50 suits all skin types & stays for a longer time.